52 bed extension to existing care home with special dementia wing. Elevated location on edge of village settlement in planning AONB. 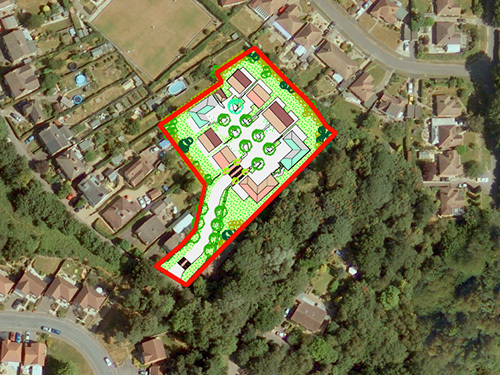 Landscape Impact Assessment to support detailed planning application for profiled architectural design. Detailed arboricultural, ecological reports. Expert witness and 3D ‘verified photographs’ to support successful appeal presentation. 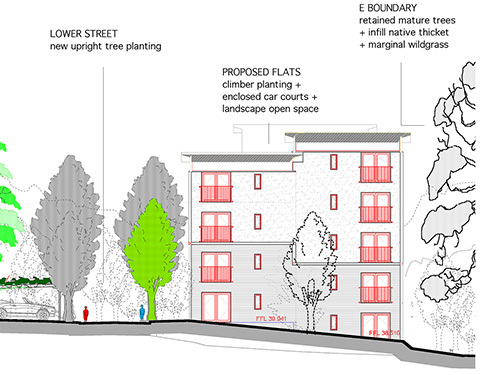 Mixed residential development in planning Conservation Area. 9 unit courtyard residential development. Elevated TPO wooded location on edge of settlement.